AUTHOR(S) : Teena Saharan, School of Management, JRE Group of Institutions, Sushil Pasricha, School of Management, JRE Group of Institutions and Deepak Changa, Bisleri International Pvt. Ltd. 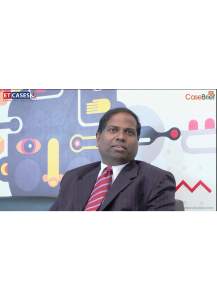 The case study is on Bisleri International Pvt. Ltd.(Bisleri) and the attempt is to find relevance of Maslow’s hierarchy of needs model. Bisleri has advocated applying this model in myriad of ways on several occasions and according to the company, the results have been astounding. The case study reveals that Maslow’s Hierarchy of Needs theory can be applied in any situation and is applicable in all ways to motivate employees, inspire managers satisfy customers, et al; although there may be a few critiques and controversies for the case. This is a canvas of Bisleri where the authors have attempted to describe the anecdotes that have been collated from the repertoire, a potpourri, of the company’s rich culture, day-to-day routine and the history. The prerequisite for readers before discussing this case is to familiarize with the Maslow’s Hierarchy of Needs theory. • The importance of organizational and work culture management: Employee commitment, dispute management, employee engagement, ethics, values, vision, mission, etc. • The importance of HR Policies: Relevance of monetary & non-monetary rewards/benefits, recreation practices & policies, employee rewards & recognitions and trust building at all levels, resolving the recurring problems of outsourced employees, etc. 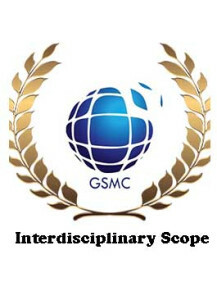 • The requirement of logistic and supply chain management and distributor relationship management: Identification of logistic & supply chain management requirements, outsourcing issues, resolving the transportation issues, strategies and need for vendor and distributor relationship management, think of the supply chain as an extended enterprise, etc. Maslow's hierarchy of needs, a pyramidal structure, is so commonly applied in business organizations today that it appears it still maintains its sheen. However, does it? The model places human needs in a hierarchical structure with the bottom about the physiological or basic needs and the top being self-actualization state. The needs at the base are instinctive, the survival needs. Once the basic needs are met, the second level is about the safety or security needs. Next level is about need for belonging, longing for love and acceptability in the society, in the community. Fourth level is about esteem, the needs for achievement, responsibility, et al. Last stage, the self-actualization level is about self-fulfillment when the urge to help others or the need to do something for the society arises in such a way that one is able to leave an indelible mark. Humans are by nature social animals. Human being gets motivated or aspires to move to the next level once the needs at that level are fulfilled. Through this case on Bisleri International Pvt. Ltd. (Bisleri), the attempt is to find the relevance of Maslow's Hierarchy of Needs model. Bisleri has applied this model in myriad of ways on several occasions whether it is motivating a worker on contract or the worker who had a great following in the union or a manager to tap the tremendous untapped potential. The results have been astounding.